Visitors often ask us why there is a protestant cemetery in the city. Why was it created? Why the particular site? How does it relate to the city and other cemeteries? Here are some interesting facts…. Before the English Cemetery was created in 1831, the death of a non Roman Catholic in Spain was problematic, as no provision was made for their burial. All cemeteries were consecrated according to the rites the Catholic faith. In Malaga, non Catholics could only be buried at night, on the beach and in an upright position, and left at the mercy of the waves and of prowling dogs. When William Mark, who had been a witness to night-time burials on the beach, became British Consul in 1824, he determined to find a site where Protestants could be given a decent burial. In 1829 the Malaga authorities finally granted him a plot of land outside the city, on the road to Almeria, and here he founded the first protestant cemetery in mainland Spain. According to the cemetery’s register, the first person to be buried there was a man called George Stephens, owner of the brig ‘Cicero’, who accidentally drowned in the harbour in January 1831. Later the same year a wall was raised around the inner precinct of the cemetery and the first person to be buried inside its walls was Robert Boyd, who was shot in Malaga for his part in the failed liberal uprising led by General Torrijos in December 1831. 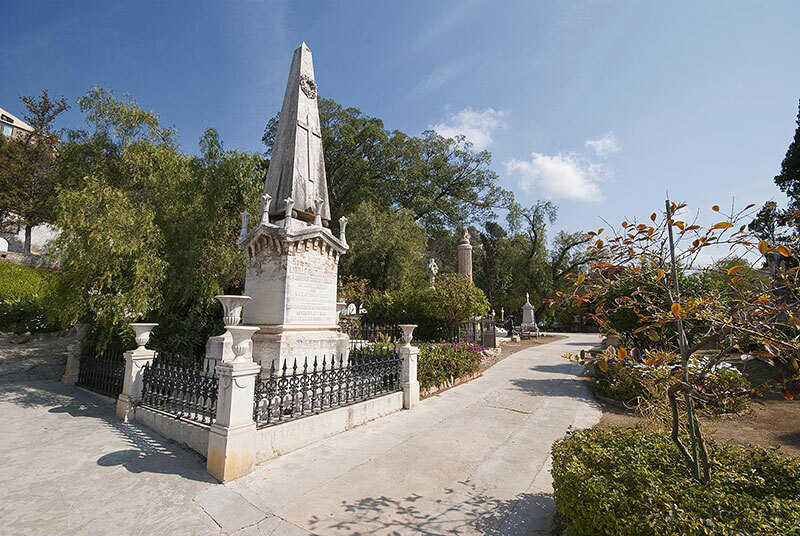 The cemetery is the final resting place of many other notable figures who contributed to making Malaga what it is today. Indeed, some of the mottoes on the city’s coat of arms are directly related to them. 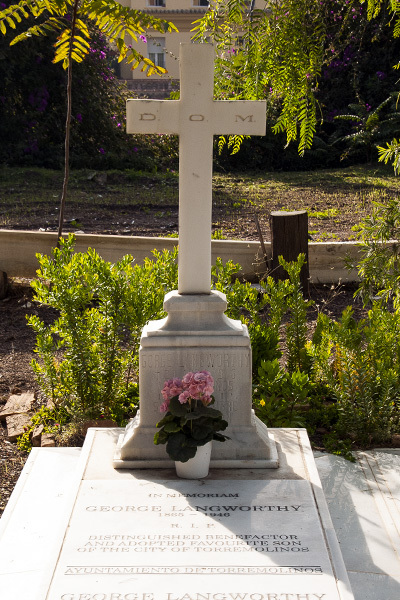 It is the last resting place of Joseph William Noble, whose heirs donated a hospital where survivors of the Gneisenau disaster were attended to – an incident which earned the people of Malaga the words MUY HOSPITALARIOS (‘most hospitable’) on their crest. Robert Boyd is also buried there, having given his life to the cause espoused by José María Torrijos in an exploit which merited the addition of the motto LA PRIMERA EN EL PELIGRO DE LA LIBERTAD (‘The first in the struggle for freedom’). Other distinguished names to be found in the cemetery include the Spanish poet Jorge Guillén, British Hispanist Gerald Brenan, the Finnish author Aarne Haapakoski, and the economist Marjorie Grice-Hutchinson. For more than 175 years the cemetery was run by successive British consuls with a little funding from the British government which was withdrawn in 1903, with the result that by the end of the 20th century it had fallen into a state of neglect. With the cemetery in a legal vacuum, the British consul Bruce McIntyre decided that the best solution was to put it into the hands of a Foundation which could attempt to raise funds for it as a historic monument. 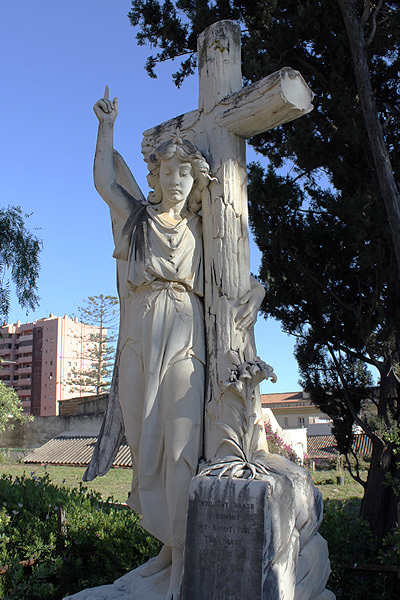 In 2006 it became the property of the non profit making ‘Fundación Cementerio Inglés de Málaga’, entrusted with the mission of preserving, maintaining and administering it as part of the city’s heritage. 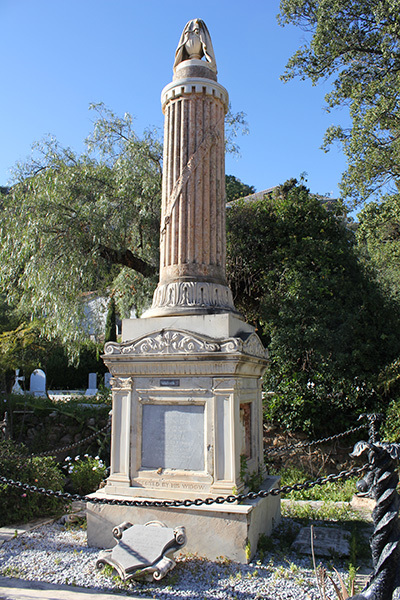 The English Cemetery in Malaga was listed as a cultural asset (‘Bien de Interés Cultural’) by the Andalusian government in 2012, and is registered with the Association of Significant Cemeteries of Europe (ASCE) thanks to its outstanding artistic, historic, literary and botanical value. The cemetery is currently maintained thanks to the income from the sale of souvenirs and books, from its management as a cultural asset, and through legacies and donations to the Foundation. Donations are essential to the upkeep of the cemetery and the Foundation is always grateful for any contributions.